His mouth fell open and he sat, speechless, for a moment. Finally, he squared his jaw and snapped, "Our parents would have accepted it once the deed was done. It is what they have always wanted, and my father cannot disinherit me entirely." "Had you been told the story of your mother&apos;s marriage contract, you might not be so quick to assume the Duke of Wellbridge cannot bend the law to his will." "They would not cast us out. They would not. And in any case, it is only a few years until I take possession of my barony, and I have enough money to keep us until then.... I had enough. No longer. Lord and Lady Ledgers have me well and truly hobbled now." Again, an arch of the elegant brows, her face unreadable. "So, it is at an end, then? You have given up?" He sprang from his chair, unwilling for her to see his eyes filling with tears. "What can I do? Haverford has grown cruel, or mad. He will marry her to some old man and I..."
The duchess cut him off. "That plan is at an end. Sally will not be wed against her will, or at all this year. Do you think I would allow such a thing? Or that Haverford would demand it, once he came to his senses?" That news hit him like a strike to the gut, and he had to take a moment to recover his breath, his hand hovering over the decanter. "He will not? I cannot... how did you...?" "Come and be seated, dear. Pour me a cup of tea, please." Toad sat before the tea service and poured out, serving her, then himself as she continued. "Thank you, Abersham. The problem I have is that neither of you have any more idea of marriage than when you played at house in my conservatory. You are not fit to be a husband. Nor is Sally fit to be a wife. But she is growing up, I am pleased to say. Are you? That is what I am here to find out." He shrugged his shoulder. "I cannot know what answer will please you. I am older, certainly, and unhappier. If that is a mark of growing up, then I have." "You think me an interfering old woman. 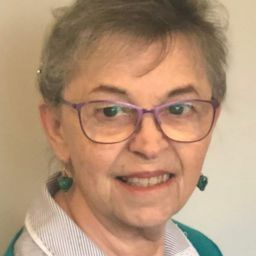 But if I will help you, I must know I am not placing Sally in danger of the sort of unhappiness I was afforded for so many years, with a man who will disregard her feelings and his marriage vows." 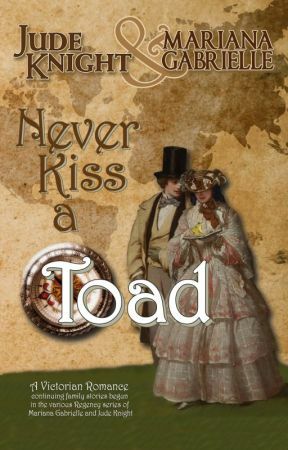 Haverford never spoke of his father, who had died long before Toad was born. But London still whispered of his cold and ruthless pursuit of anything and anyone he desired. Toad had never considered how that behaviour must have affected his duchess. "I would never, Aunt Eleanor." The rest of what she said penetrated. "You will help us?" "Perhaps. I am more sympathetic than you can know, dear boy." She took a sip from the cup Toad had poured, and he said nothing, watching her anxiously. "Tell me... You have known a number of women, of course, but how many marriageable young ladies? If she is first in your heart, is it because she is ahead of others, or because there are no others?" "There has never been another, nor will be. I have spent plenty of time... conversing... with ladies of my own class, in public and private. They are... lovely, of course, but none is my Sal." "If there will never be another, you have nothing to lose by waiting." "I have nothing to gain by it, either." "I think you are wrong, Abersham. I believe you are too young to marry, my dear, Sally too." "I take exception. She has been presented, so her parents think her old enough to be a wife, and I have been fending off matchmaking mothers since I was sixteen. No one in England would look at all askance if we were wed."